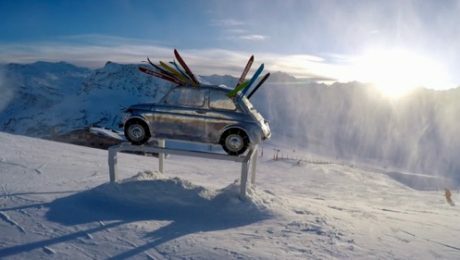 Early season skiing in Val d’Isère. 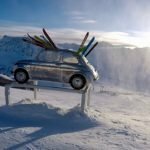 We were able to go skiing for a week in Val d’Isère mid December, and it was superb. The snow conditions where amazing, and we had the slopes for ourselves! You will be able to see in the video that the first day we skied was a bit hairy, but we survived, and it was sunny for the rest of the week! Being able to enjoy such a great ski resort in these superb conditions with not a single queue is just a dream! Sophie and Casper are skiing great, improving year after year, we really missed the rest of the family in this ski trip, but I’m looking forward to skiing with you all in Easter! Hope you enjoy this short movie I made from the holidays. 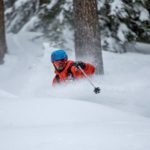 If you are interested in highly professional private skiing lessons in Switzerland, any other ski resort in Europe or even The World, you’re in the right place. 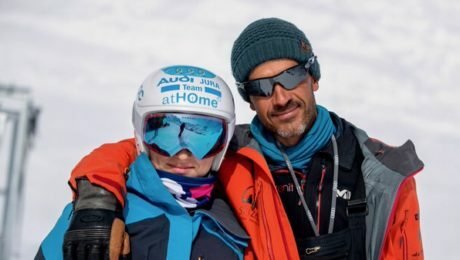 We offer high quality ski lessons, training and guiding for skiers of all levels. Fully customized skiing and snowboarding lessons to make your ski holidays memorable. I know it’s hard, but if you have the chance to go on holidays out of the main school holiday weeks, you will be able to enjoy your favorite ski resorts completely empty, and really get the most out of you skiing holidays. If you want more information about our private ski and snowboard lessons, freeride lessons and guiding and our ski racing programs, don’t hesitate in getting in touch with us sending us an email at: info@skizenit.ch or click Here! Ski guiding in Anniviers with Ski Zenit. Once again Bob came to the Val d’Anniviers in search his favorite deep crust pizza… and he found it! It was a great couple of weekends skiing together. The conditions weren’t really easy for ski guiding in Anniviers. 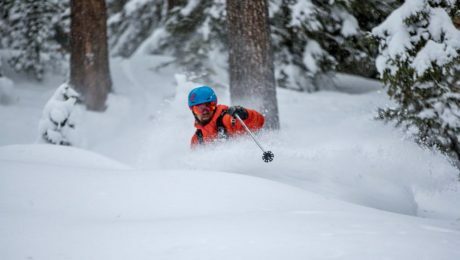 Finding incredible powder during the first weekend was pretty hard, but we managed to get some fresh snow turns in. On our second day, after a nice ski tour we were able to enjoy 4.000 vertical feet of perfect wind crust! The next weekend was a completely different story, we got some nice snowfalls during the week and finding the powder was a lot easier… Finding rocks wasn’t hard either, but we tried to focus on avoiding the rocks and sticking to the fresh snow. Being able to actually see was a bit more challenging, but the sun did shine… for about an hour… and it was epic! All in all, great times and new experiences on skis. Every day in the mountains is a good day! Hope you like this short movie I’ve made. 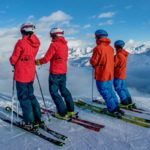 Ski Zenit offers ski guiding and ski lessons in the Val d’Anniviers, Saas-Fee, Crans Montana, and basically anywhere in The Alps. 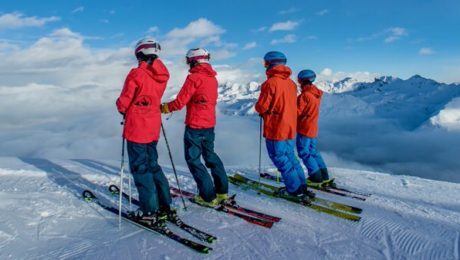 We are a specialized ski school that focuses on delivering highly personalized and flexible services, always by really experienced and fully certified ski instructors and guides. 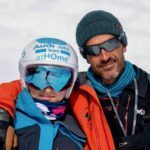 Every time you ski with one of our ski instructors, guides or coaches, you will have the possibility of doing video analysis to improve your technique, and have the videos as a souvenir of your ski adventures! For more information about our offers ski guiding in Anniviers, ski lessons in Grimentz, Zinal, St. Luc, Chandolin or Vercorin send us an email at: info@skizenit.ch or click Here! Hope to shred some powder soon!